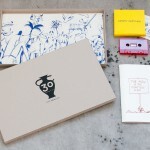 Koloss Press proudly presents their first release 30 by artist Chris Magnusson. It’s a box celebrating Chris’ 30th birthday. 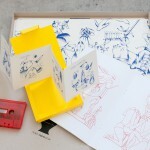 It contains 6 riso printed suggestive illustrations, a yellow box containing a cassette with bird sounds and an accordion folded zine with birds. And a zine with sketches from Chris’ sketch book. 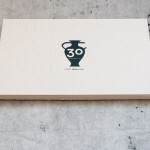 The box is released in edition of 50, 30 of which come with a custom tote bag with a hand-printed “30” emblem. Chris works in a variety of material and technics and has during the last years experimented with the relationship between image and object. Magnussons imagery is like it is taken from a forgotten civilization and the images is inhabited by a primitive tribe which seems to have given up all hope of the society. Bizarre landscapes filled with artifacts and cryptical clues about the citizens possible destiny is to be found in the drawings. Are they our ancestors or our future generations or something completely different?